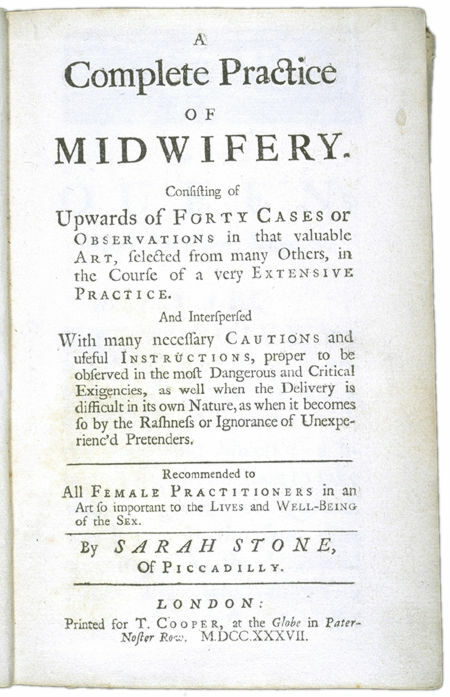 Sarah Stone learned midwifery in Bristol from her mother, also a midwife. Sarah's husband was probably an apothecary. She believed that midwives should learn as much as possible about anatomy and other medical knowledge. Working in London, she taught her daughter who carried on in her mother's footsteps. 1. What does Stone tell us about her patients? 2. How did Stone feel about birth instruments? 1. Why did Stone object to man-midwives? 2. According to Stone, what advantages did she have over the man-midwives to whom she objected?